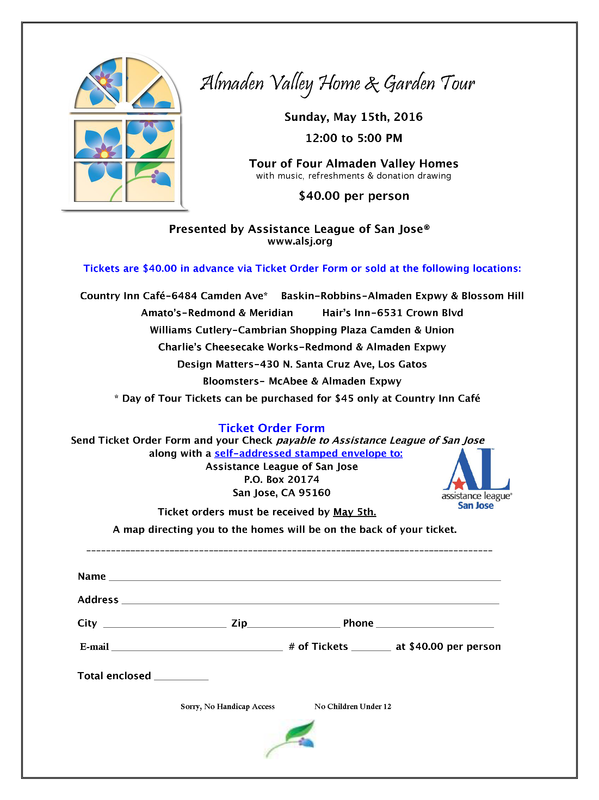 You won’t want to miss our second Almaden Valley Home & Garden Tour on May 15th. Four beautiful valley homes will be open to the public. You can purchase tickets at the businesses listed below or print the form, fill it out and send it along with a check to Assistance League.